Thank you Helena Sorensen for the little note! I will always be thankful for that! By chance I won Shiloh from a giveaway and I’m determined to write this review not only because I was asked to, but also because I know this one is going to be a major challenge. For the first time, I had to go to Goodreads for help to write this review. Not because I don’t have any ideas, but because my thoughts about this book are so scrambled around it feels so complex to come up with what exactly my thoughts about this book are. On my idea hunt, I noticed another reviewer reference this story to having a close resemblance to The Hobbit and the Lord of the Rings. I’m not a fan of either, but without reading that I would have never come up with something like that on my own. I definitely agree with that reviewer’s thoughts of Shiloh resembling to those books/movies because this book was so full of magic and fantasy it couldn’t possibly resemble anything else that close. The first pages of this book began with the prologue which only explains part of the story vaguely. I think it only helped to confuse my comprehension of this story. Amos, the boy who saved his younger sister Phebe from being mauled by the Cat’s of the Whispering Woods, is known as the courageous boy without fear and that he’s a descendent of the great hero Evander. Despite the fact that the town’s people know Amos for this, they still believe his family to be mad and cursed. Phebe, Amos’s younger sister is known for having a beautiful voice when she sings and for the scar that runs down on part of her face. Abner and Wynn are their parents and I couldn’t help but be able to feel the closeness of their family. The true meaning of family in this story rang loud and clear. Another character that is a major part of this story was a boy named Simeon who is the same age as Amos and who became friends with him as well. Throughout the whole story, I couldn’t help but be drawn to Simeon more than Amos. I don’t think I could clearly explain why without giving things away, but here’s a clue: he grows from being a vulnerable boy in the shadow of his friend to a courageous man who stands in his own shadow. At the start of the story I couldn’t help but wonder what the plot was. I’m still not sure if it was one or two things, but to me it felt that it was one that came later on in the story. I also noticed how rapidly the character growth was and I felt that this story would have done well if it focused on either an epic adventure where the characters are young kids or adults. Because Shiloh focused on both age groups, the buildup of the story felt slow most of the time then is sped up increasingly fast. I did like that the antagonists of the story came out before the halfway point though. For a while things just felt very perfect and peaceful. Although the buildup of the plot and climax felt slow, I do believe the story was full of life not only from the heroic themes involved, but also by what the characters had to offer. We get to learn a lot about each of them and you get to grow along with them as well. You learn their personalities and what they fear most and you can’t help but feel close to them. Each time a character passed away by tragic events, it felt like a horrible blow to not only the characters but also to me. I couldn’t help but feel fear for Phebe, Amos, and Simeon when things went terrible or worry for their lives when they lost very important people in their own lives. The loss was very palpable and I saw it as a very impressive aspect of the story. 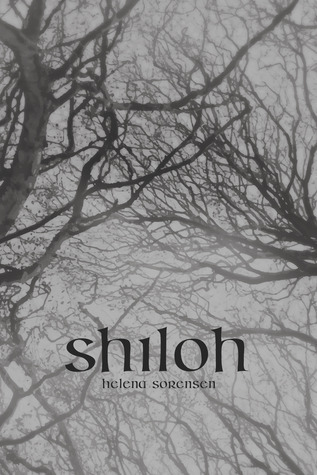 Shiloh by Helena Sorensen is her first story and I think the theme surrounding this story was greatly built. I don’t think anyone could have told a better story than Helena. While some say the story resembled that of The Hobbit or the Lord of the Rings, I say that this story greatly resembled that of Beowulf and Gawain and the Green Knight (which I read a few months ago for my British Literature class). If you know those stories and have read them you would be able to understand better why Shiloh resembles them. The fantasy and epic hero aspects are similar in which the hero has to decide to choose wrong or right in a test of will power. I don’t think Shiloh is for everyone, but those who like epic adventures and magic might enjoy this book. I enjoyed the story and I hope there are others who can enjoy this story as well. Thank you Hillary for your wonderful review! 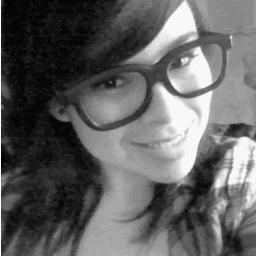 :) What do you guys think? Does Shiloh sound like something you'd read? This sounds like a great book. I am looking for a new urban fiction book to read. I just started reading fantasy books and now I can't get enough. This was a really great review, I will definitely have to check this out. Thanks so much for sharing.